The twelfth major update of world's most advanced mobile operating system has been released by Apple at Worldwide Developer Conference (WWDC) 2018 i.e. "iOS 12 Firmware" for iPhone, iPad, and iPod touch. Apple has also released "tvOS 12 Firmware" for Apple TV, and "watchOS 5 Firmware" for Apple Watch devices. The latest iOS 12 Update, tvOS 12 Update, and watchOS 5 Update of firmware have brought several new features and functions particularly more focused towards firmware's speed, responsiveness, and secure. Just like today's any other mobile firmware or software, the new iOS 12 firmware is also integrated with Artificial Intelligence (AI) and Augmented Reality (AR) kind of features to make iOS users day-to-day work and task further easier. 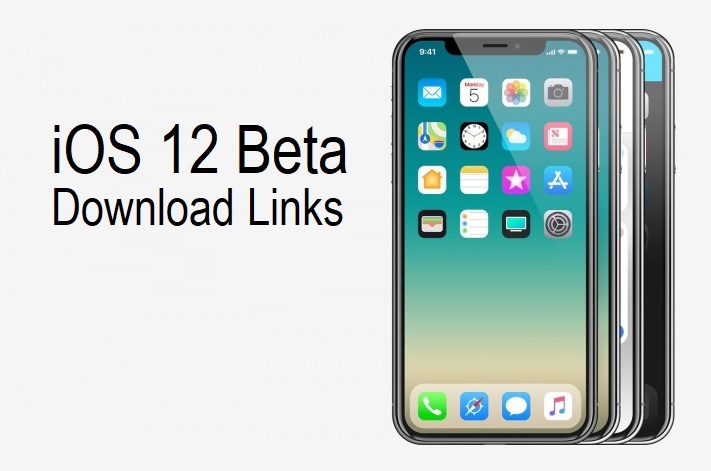 If you own iPhone, iPad, iPod touch, Apple Watch, or Apple TV devices then you can free download and install the latest iOS 12.3 Beta (Build: 16F5117h), tvOS 12.3 Beta (Build: 16M5117f), and watchOS 5.2.1 Beta (Build: 16U5079d) without iOS developer account and Apple UDID right now to experience all the new changes and improvements by your own. The Direct Download Links of iOS 12.3 Beta .IPSW and OTA Profile Update Files for iPhone XS Max, iPhone XS, iPhone XR, iPhone X, iPhone 8 Plus, iPhone 8, iPhone 7 Plus, iPhone 7, iPhone SE, iPhone 6S Plus, iPhone 6S, iPhone 6 Plus, iPhone 6, iPhone 5S, iPod Touch 6th Gen, iPad Pro (12.9-inch 2nd Gen), iPad Pro (12.9-inch 1st Gen), iPad Pro (10.5-inch), iPad Pro (9.7-inch), iPad Mini 4, iPad Mini 3, iPad Mini 2, iPad (2018 - 6th Gen), iPad (2017 - 5th Gen), iPad Air 2, and iPad Air are available below. More faster, responsive, and delightful mobile operating system. Up to 70% faster swipe camera, 2x faster app launch, and 50% faster keyboard. Group FaceTime with up to 32 people at once with audio and video support. New customizable Animoji called Memoji to customize your look and feel. Addition of new Fun Camera Effects to add unique personality to Messages and FaceTime. Improvements in Augmented Reality (AR) and Artificial Intelligence (AI) with ARKit 2 and new AR file format i.e. USDZ. Introduction of Screen Time to check kids device usage pattern. New group notifications to bundle messages from same applications. New advanced Do Not Disturb mode. Revamped photo sharing and photo search options. Addition of Siri Shortcuts to make daily task and work more easier. All new Apple Books app. Redesigned navigation in Apple News app. Voice memos come to iPad. Third-party navigation apps support in CarPlay. Contactless student ID cards support. ...And several other useful features and functions. Click Here to know more! What's New in iOS 12.1 Update? Fixed iPhone XS charging issue; which recently surfaced as #ChargeGate all over the internet and its also covered by famous YouTuber named "Lewis Hilsenteger" of Unbox Therapy. Official eSIM support for dual-SIM functionality outside China. Real-time depth control in camera app for Portrait Mode shots before taking pictures. Introduction of 70+ new emojis and characters. Group FaceTime support is back. Securely AutoFill passwords and codes from iPad or iPhone. Apple TV Remote support on iPhone and iPad control center. Control Apple TV through third-party home control systems likes Control4, Crestron, and Savant. New TVUIKit framework to easily display TV interface elements like monograms, posters, cards, lockups, and caption buttons in TV apps. New TVML to support displaying elements conditionally. ...And many more features and options. Start of 7-day competition with a friend or family member through Apple Watch. Addition of Yoga and Hiking workout for tracking of Yoga and Hiking activities. Automatic workout detection from Apple Watch. Exchange voice memos over Wi-Fi and Cellular LTE using Walkie-Talkie feature. Display of Siri Watch face and other third-party Watch faces. Raise your wrist to start talking with Siri. WebKit support to preview web link on the screen. Connect gym equipment’s with Apple Watch with GymKit support. Wallet app now supports Student ID cards. New Pride and Summer Bands for Apple Watches. ...And numerous other features. Click Here to know more! Currently, the latest iOS 12.3 Beta, tvOS 12.3 Beta, and watchOS 5.2.1 Beta versions are available to all Apple Developer Program subscribers and general public users worldwide. Whereas the iOS 12 Final, tvOS 12 Final, and watchOS 5 Final updates have been officially released by Apple. How to Jailbreak iOS 12.3 Beta? There's no official Untethered iOS 12.3 Jailbreak is available from any well-known iOS Jailbreakers. So users must wait further to successfully Jailbreak iOS 12.3 with Cydia Installation. How to Install iOS 12.3 Beta without Developer Account? To perform offline and manual iOS 12.3 Beta installation without developer account and Apple UDID, iPhone, iPad, and iPod touch users can free download and activate iOS 12.3 Beta with iTunes software. You just need to Download iOS 12.3 Beta .IPSW and OTA Profile via Direct Link and Torrent Link posted below.